It was almost three years back when “Datsun” the subsidiary of Japanese car maker Nissan Motors made its entrance in Indian car market. Although the first products Datsun Go and Datsun Go+ launched by the car maker did not succeed in luring the buyers according to the expectations and the fortune of company changed with launch of redi-Go last year and with that the car maker started getting noticed in India. 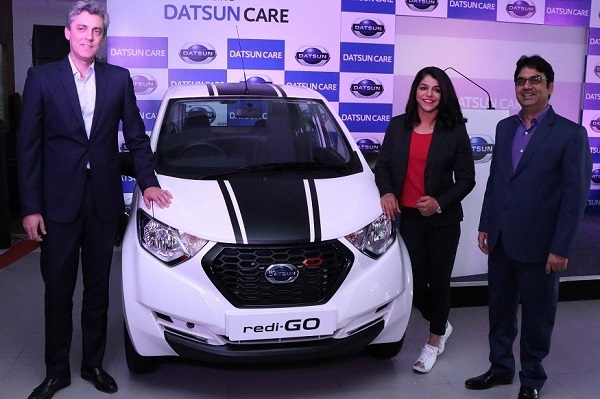 Now to celebrate three years of its existence in Indian car market, the Japanese company has initiated a new service package plan named as Datsun CARE to benefit the upcoming buyers of redi-Go across the country. The first customer to avail this package was the Olympic medalist Sakshi Malik, the brand ambassador of redi-Go Sport version. The same comments were shared by Mr. Jerome Saigot, Vice President, Datsun India said “The introduction of Datsun CARE is our endeavour to strengthen our relationship with redi-Go customers across India. 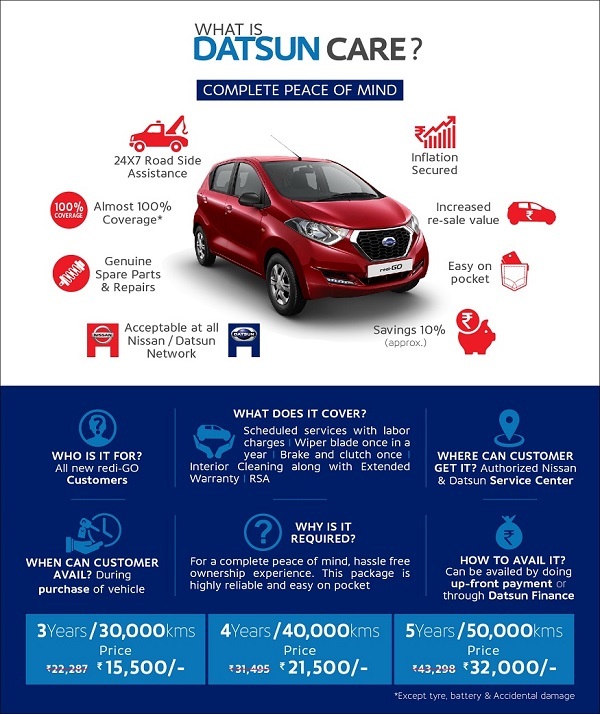 Datsun CARE aims to provide complete peace of mind and a hassle free ownership experience. We are delighted that Datsun redi-GO’s success has steadily boosted brand awareness and we expect it will continue to drive sales and the brand’s popularity in 2017”.